One indicator of how free a country or society is, is the ease of mobility of its citizens to travel both within the country and abroad. The easier and less costly it is to move around, the more freedom the people have. On the contrary, the more bureaucratic and more costly it is to travel, the less free the people are. In short, mobility = freedom. Less mobility, less freedom. To travel abroad, a Filipino needs (a) a Philippine passport, (b) a plane ticket, and (c) a valid visa of the destination country whenever it is needed. For many Asian economies like Hong Kong and member-states of the Association of Southeast Asian Nations (ASEAN), visas are not needed for visits of less than 30 days. For Filipinos traveling abroad to attend a conference, to study, a business trip, or as tourists, they have to pay (a) travel tax of Php1,620 per passenger, and (b) airport terminal fee of Php750. Hence, even before one can board a plane, he has to shell out nearly Php2,400 already and it is not a small amount. Overseas Filipino workers (OFWs) are exempted from paying travel tax and also the terminal fee, I think. Getting a new passport, whether for the first time or for renewal of the expired or expiring passport, can be costly. The cost of passport, the new machine readable passport (MRP), is Php500 for regular processing (released after 14 working days) and Php750 for fast/overtime processing (released after seven working days). Other costs are (a) passport pictures, Php150 for six copies, definitely a monopolistic price, service provided by the Department of Foreign Affairs (DFA) multi-purpose cooperative; (b) securing birth and/or marriage certificates, other papers and clearance from other government agencies when necessary, and (c) taking a leave from office, first to get a schedule for application processing, and second, actual processing day, payment, data encoding, etc. Some people apply through their travel agents, and normal processing fee by the travel agencies is Php1,000 per passport, but the applicant still has to go to the DFA for the electronic signature and perhaps interview for first-time passport applicants. Those long queues are stressful and costly for passport applicants. Long queues mean only one thing: the supplier of the service or a commodity is small or few relative to those who demand the service. In order to reduce, if not remove the long queue, the supplier should either expand the staffers who attend to the long lines of people, or expand the number of offices (or shops) in different places to attend to more people from more places. Fastfood chains do that. Banks too, and malls and convenience stores, gasoline stations, repair shops, Internet shops, barber shops, and so on. All private enterprises operating in a competitive environment are stretching wide and hard to reach out to more people, to serve and satisfy more customers. Why can’t the DFA and many government agencies follow that? If the current number of personnel is not enough, then DFA should rechannel some of its staff from other departments or divisions to help in the passport processing work; or hire more staff. If eight hours on 5 ½ days are not enough, then work 12 hours on six days per week. If the DFA building is not enough, then get or rent additional offices in other cities, both in Metro Manila and the provinces. Many DFA regional offices across the country are also experiencing long queues for passport applicants. There are additional costs for this expansion of offices and staff, definitely, but there are additional revenues too that can more than finance the additional expenses. I suggested the re-channeling of some staff from other DFA offices and divisions because I have noticed that while the staff at the Passport Director’s Office and related offices working on passport issuance are harassed and seem to be overworked, the staff from neighboring rooms and offices at the DFA seem idle. If the DFA cannot have the flexibility or will to expand its staff and/or offices, then it may consider allowing and accrediting some private travel agencies to process passport applications. Then the DFA main office can attend more to those applicants with special or urgent need for a passport. Like my case. Last month, I was going to Atlanta, Georgia to attend the Atlas Liberty Forum. The sponsor paid for my hotel and subsidized my plane fare. Less than a week before my flight, my passport accidentally got wet; my travel agent advised me that I need to get a new one as my current passport might be declared “mutilated” and hence, invalid, by the immigration officers of the Philippines and the US. With the help of some friends who have friends at the DFA, I was entertained at the Passport Director’s Office, where there is a long queue of people who may have the same urgent need for a new passport. Anyway, I had to cancel my original flight, got my new MRP after four working days, flew the following day, and caught up the conference on the day it started. The high cost of getting a new passport plus travel tax and terminal fee constitute an indirect restriction to some people who maybe poor and desire to be more mobile across the country. The world is globalizing fast, and there are not too many opportunities in the country given the bad state of governance. Those unnecessary but indirect restrictions to people’s mobility should be reduced. The travel tax, for instance, looks like extortion since there are no corresponding services to the public who paid the tax. It should be abolished. I circulated my article on “Passport, travel tax and people mobility” to some of my yahoogroups, got comments from 7 friends. Below are the summarized comments and my reply to them. I think the bigger issue with the slow processing of passport is not the number of staff but the equipment for the electronic signature and thumb mark. I assume the equipment is very expensive that is why the government cannot acquire more of it. Another issue there is an unusual increase in demand for passports with the issuance of machine-readable passports (MRP) Several people want a new MRP even if their current ones are not yet expired. Another problem that they need to look at is the number of fixers and unscrupulous people trying to exhort money from passport applicants near the DFA national office. This means poverty stricken countries will never be considered free. What’s the meaning of “free”? According to David Schwartz, if you believe you are free, you can be free. The problem is in the system. I doubt if the size of the bureaucracy is the problem for I am sure that more than one of the employees there could be considered redundant. So I doubt if a Jollibee-and- Starbucks- type of expansion is the solution. Subjecting it (DFA) to competition could be given a thought but only up to the point where some steps in the processing could be outsourced. 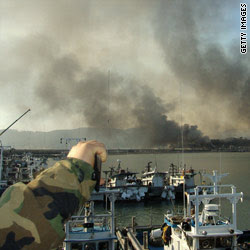 But the nature of information handled by the particular agency could raise some important issues. Given the massive outflow of overseas workers and the rise of budget airlines, business related to this will be viable. All those expenses and the pressure from predatory Customs officials that OFWs face are just too much and indeed need some drastic measures. Mobility matters to the middle class more than to other people whose major concern is meeting the basic needs that could tide them over a day. Hence, as a barometer of freedom, its application is limited. 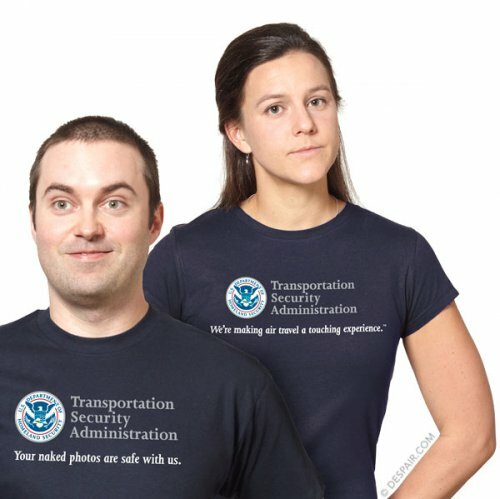 Why do we have to pay airport terminal fee anyway? Countries with much more modern terminals don’t even charge any fee. There was a time we used to pay for using those old luggage carts. If they were able t abolish the push cart fee, why not also the terminal fee. If the collection of the fee is for terminal maintenance, the money does not obviously go there. Our terminals are probably the oldest and the worst in Asia. Vietnam or even Cambodia (au naturelle) terminals are even more impressive. The low cost carrier terminal in KL is a lot better that terminal 2. Whoever is managing the PAL terminal (NAIA 2), has not even heard of an invention called ESCALATORS. When you arrive via NAIA Terminal 2, you need to drag your carry-on luggage down the stairs towards the immigration counters. And you need to pay them P750 for the inconvenience? Why can’t the DFA make our passports expire in 10-years, so that we don’t go to them every 4 ½ years since we cannot travel anymore if our passport will expire in 6 months or less? The lines are long because many people need passports. Passports are needed because the places they want to go to require visas before they let them enter… Even if the government handed out passports for free, that still doesn't result in greater mobility because ultimately it is not the issuance of a passport, but the respective countries who decide whether you can go in or not. In your conclusion you say that high passport costs "constitute an indirect restriction to some people who maybe poor and desire to be more mobile across the country." There is no connection. No one needs a passport to travel anywhere across the country. Having traveled very extensively, I agree that there is something that needs to be done about the travel tax, costs of service, and efficiency. Far more efficient systems exist than what is currently in place at DFA, and given the number of people who need passports, it is proper to demand an accounting and better services for the money that is paid. But efficiency takes more than reducing taxes and increasing staff. For comparison, a U.S. Passport cost about $100 or Php 4,200 (for applicants over 16 years of age) and $85 or Php 3,570 (for applicants 16 years of age and younger). It generally takes about 4 weeks to process, but I know that in case of emergencies one can go directly to a Passport Processing office and get it the same day. So basically Philippines is a bargain compared to the U.S. But with a Philippine passport you'll need a visa to visit most countries, while with a U.S.
passport a lot of countries will allow entry with out a visa. I guess it all boils down to planning, if you know you're going somewhere a months ahead of time kuha ka na ng passport. I think it's not with the machines. If it were so, the long queues would be in the passport release section, where people were waiting for 2, 3, or 4 weeks for their passport to be released. The long queues are in the processing, 1 or 2 days before the application forms will reach the machines that produce the MRP. And that is why the number of fixers cannot go down: they know that many people are stressed by the long lines, they want someone who can help them shorten the process, even if they have to pay a big premium. If there's a long line for customers, fastfood chains open up a dozen more new stores/shops in different locations. The banks, gasoline stations, car repair shops, vulcanizing shops, barber shops, do the same. So why can't the DFA do it too? "Limited funding" cannot be the answer to this question because passports are not free, there's a fee to get it. DFA being a bureaucracy and a monopoly, it need not be too sensitive to the needs and frustrations of the citizens. Unlike private enterprises who are forced by circumstances to be sensitive to their customers; otherwise, the latter will simply go to other firms and suppliers of the same or similar commodities/ services. Nonetheless, I have respect for the staff of the Passport Director's office. They were really over-worked and they work hard, I could see it. It's the staff of other offices within the DFA who are often idle. As I defined it earlier, mobility = freedom. Less mobility, less freedom. And according to Friedrich Hayek, freedom = absence of coercion. Poverty-stricken countries need to simplify and liberalize the issuance of passport for their citizens who want to escape their country and work/move somewhere else. Or their governments need to liberalize the entry of foreigners -- investors, tourists, professionals -- who want to come to their country, and these foreigners can help generate jobs for their people. If you believe you are free, fine. You have the freedom to go to Kuala Lumpur or Bangkok tomorrow, fine. 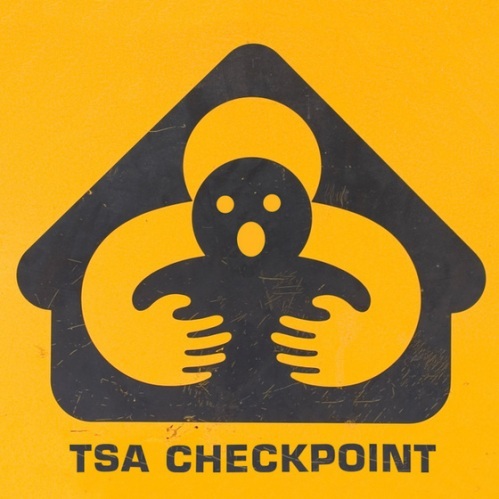 Assuming you already have the passport, and going to those cities is visa-free for visits of 30 days or less, there are lots of government-imposed costs: (a) travel tax, (b) terminal fee, (c) inspection fee, security fee, embedded in the plane ticket. Which makes your foreign travel more expensive than what it should be if some of those government-imposed costs are reduced or removed. The DFA is a big bureaucracy in charge with different political and economic diplomacy, trying to save some OFWs from being hanged in the Middle East, attending and organizing different summit (ASEAN, APEC, ASEM, Ministerial meetings, etc. ), issuing RP visa to some foreigners coming in, and so on. Issuing passports is only one of its functions. And it is here where the DFA is sometimes getting the public's ire and frustration, instead of support and commendation. When a government, like the Philippine govt., will impose many taxes and fees on each step, from getting a passport to getting an OFW permit at POEA, OWWA, Bu. of Immigration (if any), etc., including preliminary papers like NBI clearance, PNP clearance, brgy clearance, etc., that government is putting indirect hindrance to people mobility and their freedom to travel. To correct such hindrance, the burden of proof that a person trying to travel abroad could be an "undesirable" citizen, should be shifted from the people to the government. Thus, instead of the person producing different clearances and permits from different government agencies (NBI, PNP, brgy, POEA, etc. ), those agencies should reconcile their data and watch out only for those with some criminal records, all the rest should not be harassed and not be required to secure and pay those unnecessary clearances and fees. Tama Emir. The terminal fee should either be abolished, or be reduced by 1/2 at most. Airport operators like MIAA earn enough from (a) airlines, (b) rental from shops inside the airport terminals, (c) ads from billboards inside the terminal, (d) airport taxis and rent-a-cars, (e) parking fees, etc. I was also thinking that passport validity should be more than 5 years since its effective usefulness is only 4 ½ years. It could be made 6 to 10 years, so there will be less people that go there, which adds to longer lines of passport applicants. Getting a visa is a privilege to be given by foreign governments, and it was not the subject of my paper. Rather, it was about the privilege to travel abroad to be given (or denied) by the Philippine government -- hence, my discussion on RP passport, travel tax, terminal fee, etc. And my beef was that the Philippine government should reduce some unnecessary hindrances to Filipinos desiring to be mobile abroad, like the abolition of travel tax, reduction of long lines for passport application, etc. "Travel across the country" was a typographical error, my mistake. I meant "travel outside the country". 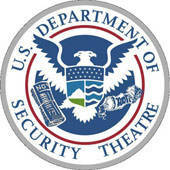 Increasing staff at DFA passport processing is only one of about 4 options I made. Another option is rechannel some staff in other DFA offices who I saw, were idle, just chatting and laughing in their offices while the passport-related staff were harassed and over-worked. Not exactly "bargain" the RP passport fee. A $100 can be earned in one day perhaps by a minimum wage earner in the US. A P4,200 can be earned in 2 weeks work by a minimum wage earner in the Philippines. Also, as I mentioned in my paper, you pay not only P750 passport fee, you also pay P150 for those small pictures alone, another P150 to P180 for "notarized" statement that your passport was lost due to theft or fire, or damaged due to water or fire or babies, etc. Then you also have to take a leave for about 1day from your office to file the application form, processing, etc. If you don’t like long lines, you pay P1,000 to travel agencies to help you, but you still have to go to DFA for e-signature, etc. You also pay sometimes for NBI clearance, PNP clearance, plus birth certificate, marriage certificate, etc. to NSO. DFA gets the original copy, not photocopy. You sum up everything, you could be near P4,000. Sometimes you cannot just "plan" your trip. You have no money to be a tourist abroad, neither you want to work abroad, you don’t apply for a passport. Suddenly a relative will tour you to HK or Bangkok for free, or you get an all-expenses paid conference, you run to the DFA. 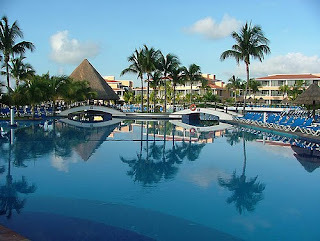 This is the Moon Palace Hotel in Cancun, Mexico, where thousands of climate officials, bureaucrats, environmentalist NGO leaders, media, and others started meeting since yesterday up to December 10, 2010. Huge and extravagant, there should be several tons of carbon emission and global warming molecules that the participants should leave in order to fight man-made warming. 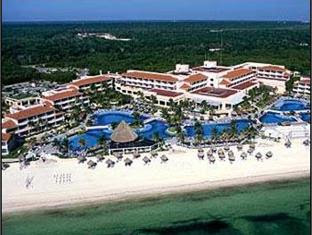 Moon Palace Hotel should be one of the showcases of Cancun capitalism. Capitalism, profit motive, extravagant lifestyle by the super-rich and super-bureaucrats, are alive and well in this beautiful resort. The planet is burning and getting warmer and warmer, so saviours of the planet should refresh themselves and plunge into these nice and luxurious swimming pools of the hotel. Then they can resume inventing new environmental regulations and new energy taxation to fight "man-made warming." Government and UN climate bureaucrats of course won't pay for this luxurious hotel out of their own pockets. It's taxpayers from many countries who will shoulder the bill, who else. How costly are these meetings? 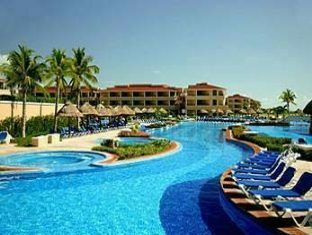 Here are some data: Cancun conference, 2010: cost about 841 million Mexican pesos ($67.33 million) to the Mexican government. Copenhagen summit, 2009: the Danish finance ministry said total costs were about 1.2 billion Danish Krone ($213.3 million). Bills of delegates not included yet. Estimated number of participants: Cancun, 2010: Mexican authorities expect up to 22,000 people, including 9,000 official delegates plus journalists, environmentalists and others. In one paper Professor Kevin Anderson, Director of the Tyndall Centre for Climate Change Research, said the only way to reduce global emissions enough, while allowing the poor nations to continue to grow, is to halt economic growth in the rich world over the next twenty years... “The Second World War and the concept of rationing is something we need to seriously consider if we are to address the scale of the problem we face,” he said." 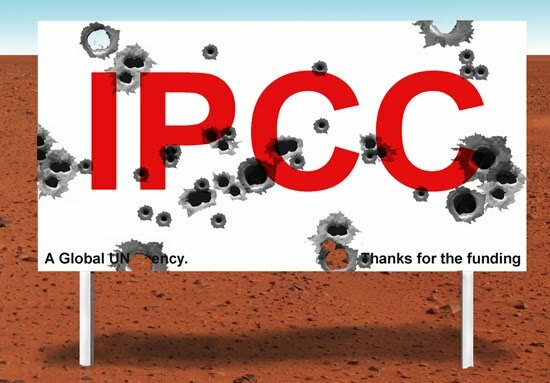 The ultimate goal of so-called "climate science" remains the same: more environmental regulations, more energy taxation, more climate bureaucracies, more global climate meetings, by governments and the UN. It is a grand project towards what Pres. Vaclav Klaus of Czech Republic calls as "global ecological central planning." Number of Delegates in Cancun aware of these numbers: estimated to be 0. Meanwhile, the warming-cooling-warming-cooling climate cycle of planet Earth now points towards global cooling, not warming. 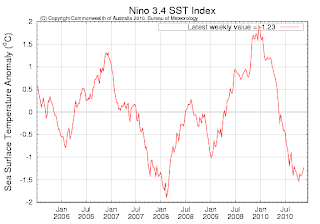 This is seen from the PDO index until this month. 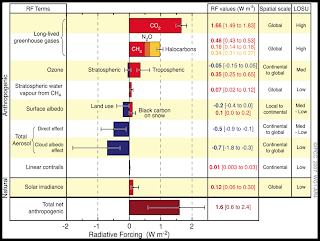 Graph source is http://www1.ncdc.noaa.gov/pub/data/cmb/teleconnections/pdo-f-pg.gif Where is the causality between more CO2 emission (and "more warming") and the plunge in global temperature? 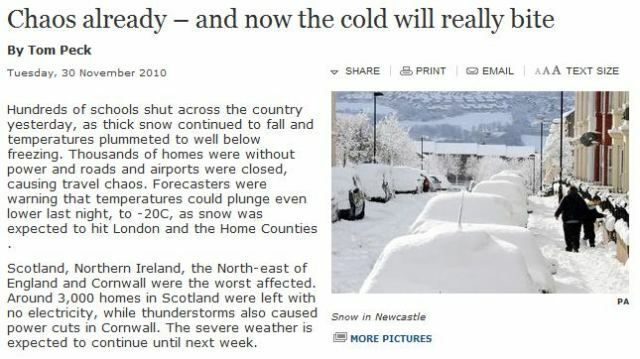 Yesterday, UK was blanketed by thick snow. The severe cold that descended at the Northern Hemisphere from the Arctic has thrown many European countries into deep freeze. 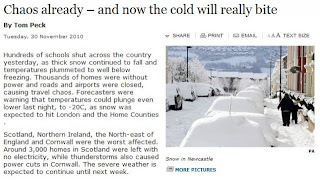 Sweden for instance suffered up to -36 C severe cold last week. The severe cold has also descended in Asia already. Last week, Snow in China arrives 40 days early. Up to a meter of snow were recorded in some areas. Terrible man-made global warming ahead of us. 1.What for you were the major political developments at the national and the international arena for the last 30 years? 2.Why were those events significant? 3.What was your most significant direct political experience / activity? 4. How would you asses our current political situation and our political system? I sent a quick reply to her. The version below though, is a bit longer than the one I sent her. The various pictures and logo shown here are taken from the web, various sources. 1.What were the major political developments at the national and the international arena for the last 30 years? 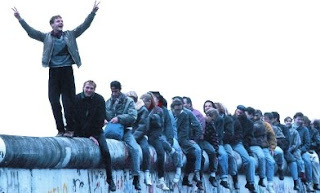 a) Fall of the Berlin Wall and collapse of communism in Europe. b) "Marketization" of China and the growth of China as the world's 2nd largest economy this year, over-taking Japan. c) Birth of WTO and rules-based international trade among member-countries. d) Piecemeal collapse of the welfare system in rich countries with a series of recent financial crisis in the US, Greece, Ireland, and soon Spain and Portugal. 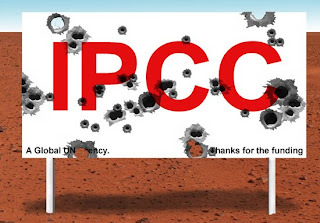 e) Environmentalism, Kyoto Protocol, creation of UN IPCC, then the UN FCCC, and the "man-made warming" scam. f) People power (or "Edsa 1") revolution of 1986 and the collapse of a 20 yrs Marcos dictatorship. g) Abuse of people power revolution with "Edsa 2" then "Edsa 3" in 2001, endless military coup d etat attempts since 1987.
h) A protectionist and nationalist 1987 Constitution. i) Persistence of the communist insurgency when such movement has been routed in the rest of SouthEast Asia already. j) RP becoming the world's 12th biggest country in population size. a) Collapse of the Berlin Wall and communism in Europe resulted in huge resources freed from war economy to political unification and more economic growth in that continent. With globalization, major economic growth in one continent or a big country will have positive economic effect for the rest of the world. A rich economy imports more (exporting countries are happy), sends foreign investments abroad more and its people are travelling abroad as tourists (host economies are happy). Or a rich and expanding economy hires more foreign workers. b) China's transition to a market economy despite its socialist political structure provided the huge economic stimulus for many other Asian economies who exports a lot to China. It also drove down global inflation to low levels as China began exporting very cheap products worldwide. c) WTO affirmed the fact that free trade produces more benefits than costs, that there is "net gains" (advantages are larger than disadvantages). But protectionist interests in many countries will simply not go away easily. Multelateral trade negotiations via WTO are seen to be slow, so many countries prefer regional and bilateral trade liberalization. d) Many welfare states have started cutting back on expensive welfare, cutting the size of government personnel, raising the mandatory retirement age, forced to borrow less to reduce ever-rising public debt, and so on. They are beginning to realize the importance of giving more "personal and parental responsibility" to people to run their own lives, that there is big limit to more "government responsibility." e) Man-made warming (or anthropogenic global warming, AGW) scam was the most organized scientific fraud in human history. Too much world resources were wasted -- creation of so many climate bureaucracies from the local governments to national and multilateral levels; so many environmental regulations, energy taxes, were created; so many expensive global climate meetings were held. f) Rediscovery by Filipinos of the value of fighting for democracy, of standing up for freedom. 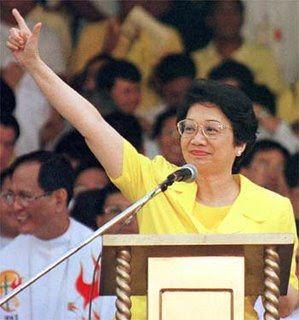 Edsa 1 people power revolution was a national rejuvenation, even if short-lived, of Filipinos being proud of their citizenship. g) Realization that extra-constitutional ways of political change will be abused and re-abused. That we need to promulgate the rule of law and constitutional provisions in regime changes. 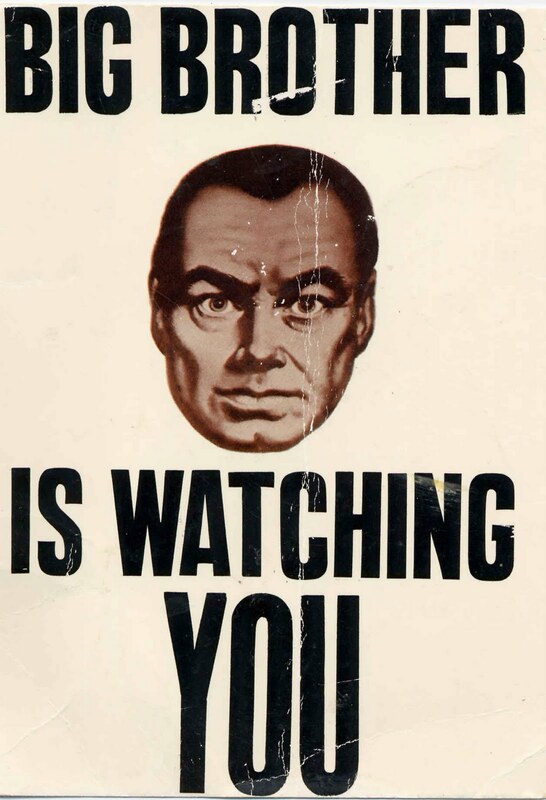 Government really attracts lots of social "saviours", from politicians to NGOs to communist rebels to military rebels. 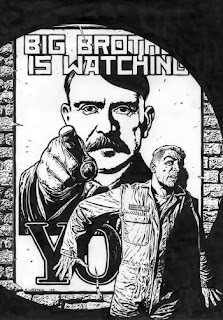 All of them do not criticize the big government, they all support it, they just want to control or minimize corruption in big government set-up. h) Restrictions on foreign investments into the country via the 60-40 equity limitations, long "negative list" of sectors and subsectors that foreign investments and businesses cannot enter. Also a long list of professions that foreign professionals cannot practice in the Philippines. Filipino nurses and doctors can practice in the US, Europe, Japan, etc. but foreign nurses and doctors cannot practice here. Clear case of hypocrisy and double standard in the Constitution. 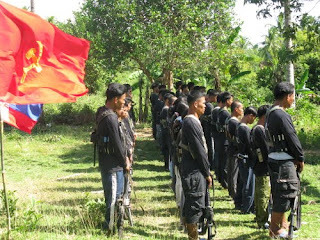 i) Persistence of the communist movement in the Philippines via the CPP-NPA and their various front organizations and party-list groups shows that people have not yet learned from the evils of one-party political dictatorship, economic central planning, as seen from the collapse of communism in Europe. j) With 94 million people (2010) and moving fast to reach 100 million within 4 years or less -- implies increasing demand for public services, more OFW remittances, more economic expansion due to ever-rising household consumption. a) Advancing the philosophy of more individual freedom, more free market philosophy and public policy, less government, less taxes, less regulations. b) Contribute to public education that more personal and parental responsibility in running our own lives will produce a more peaceful society, a more dynamic economy, compared to "more government responsibility, regulation, taxation and intervention". a) Too many political parties, too many politicians, too many political groups and commentators. We need less political parties, few but big political parties which have clear and distinct political ideologies. 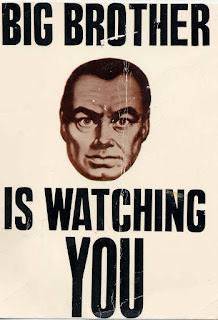 The socialists and nationalists should explicitly divulge their political ideology, the liberals and the anti-socialists should explicitly declare their adherence to individual freedom and free market principles and not just "good governance/anti-corruption" sloganeering. b) The party-list system should be abolished. Each pol party representing one important political ideology is enough. 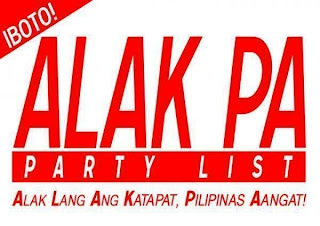 Multi-party and multi-philosophy is not possible, they just want to be in govt and get billions of pesos in tax money for their own pork barrel and sectoral nepotism. This is not to say that those countries are PIGS. It is simply an acronym for the four economically problematique countries in Europe now. And this short post is about excess pork -- represented by high budget deficit, spending beyond their means -- in those countries. Some macroeconomic data here on the four and other countries. Data is from The Economist, November 25, 2010 issue. We will be watching these four countries as they continue to make (negative) headlines) these days. I went to Sweden and attended a seven-weeks training on "Sustainable Agriculture in an Environmental Perspective", from September to mid-October 2003. The traiing was in Svalov, while our hotel was in Lund, near Malmo, southern Sweden. We also visited Stockholm and Uppsala. Oopss, the picture here is not in Sweden, but in a glacier in Austria. I visited my German friend in Bavaria in Nov. 2008 after my other training in Gummersbach, and my German friend brought me to Austria. 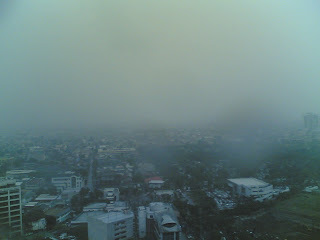 Here in the Philippines, we have cloudy sky almost everyday, and often raining in the afternoon to evening. My friend in Jakarta said it's also raining there almost everyday. 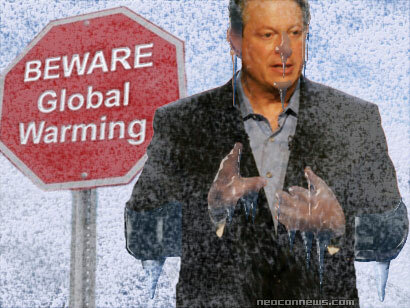 More proof that the Earth is entering global cooling, not warming. 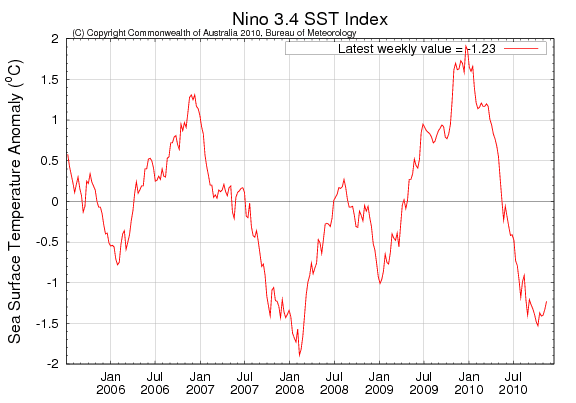 And this will last for the next 2 decades or more, according to some solar physicists. 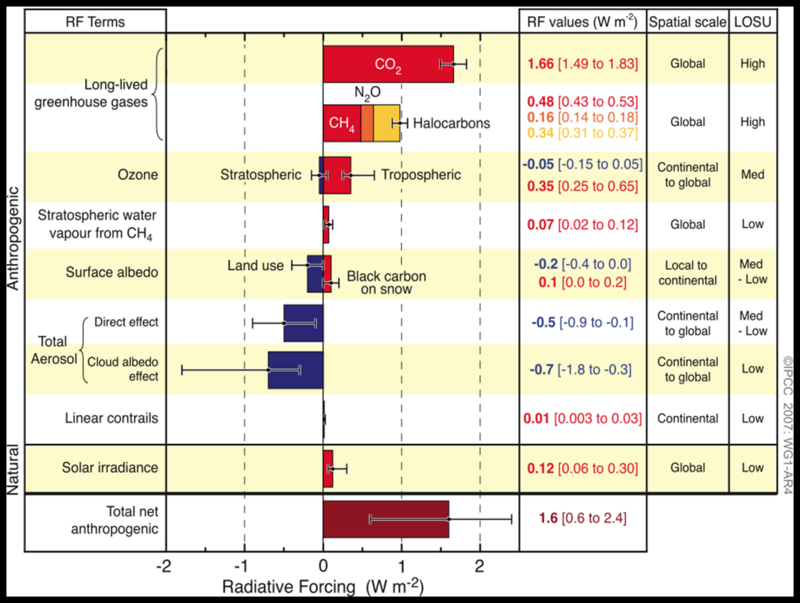 And CO2 and human carbon emission has little or nothing to do with the Earth's climate cycles of warming-cooling-warming-cooling. 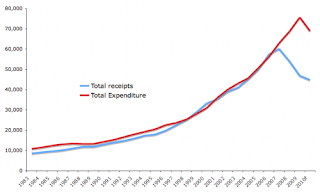 Fiscal irresponsibility, like personal and corporate irresponsibility, is wrong. Governments and individuals should live within their means, whenever possible. When income and revenues are low, then expenditures should also be kept modest. 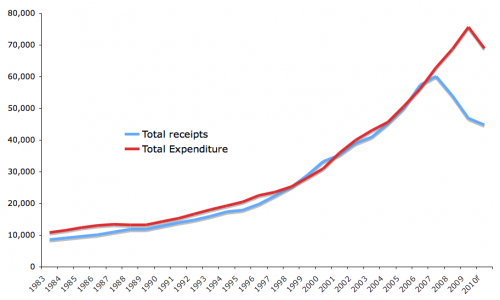 When income and revenues increase, then it is desirable and understandable to also increase spending. But borrowings should be kept to the minimum, preferably on emergencies only. Debt addiction as a habitual policy should be avoided. The Ireland government has finally accepted bail-out money from its European Union partners and the IMF, some $114 billion. There are strings attached, of course. Foremost of which are the huge cutback in spending, especially on its generous and expensive welfare system, cutting the number of government personnel, and the ugly task of increasing taxes. Ireland is a small country, population only 4.5 million. But it is also among the world's richest countries in terms of per capita income, nearly $40,000 per person per year. Currently, it has a high unemployment rate of 13.4 percent of the active labor force. The country has produced some top notch rock stars like U2 and Bono. Bono figures prominently in "more foreign aid to developing world" and "Make poverty history" campaigns, via more taxes in rich countries and siphon off a part of it as foreign aid to the often corrupt governments of poor countries. But I digress. Ireland’s tax net would be widened to take in some low-income workers who currently pay no tax, and a series of new taxes would be imposed on certain residential properties, as well as on 120,000 people who receive public sector pensions.... cut spending on health care by over $1.9 billion through a series of measures that are likely to push up the cost of private health insurance.... education programs will nonetheless take a hit starting next year, as more than $66.7 million is cut from the four-year budget. Irish officials pledged to maintain the country's low 12.5% rate of corporate tax, a linchpin of Ireland's economy for decades. However, they said value-added tax would rise one percentage point to 22% in 2013, while some €2 billion would be raised by reducing tax breaks for pensioners and broadening the number of Irish who pay personal income taxes. Ireland's Prime Minister Brian Cowen, middle, flanked by the country's Finance and Environment Ministers, will definitely feel the heat of public protests and opposition. Unless he promised to do the things that his government will do now during the election campaign. To avoid such drastic measures of reducing welfare and increasing taxes, fiscal irresponsibility should be avoided in the first place. Don't promise or give too much welfare and subsidies as it will only encourage people to demand more welfare. Like government paying people generous allowances if they do not have work. People usually can fend for themselves if they just work and save for the rainy days. No need to run to the government to expect various subsidies. After Greece just a few months ago, now Ireland. And tomorrow, Spain and Portugal. And after that, more European countries that already show cracks in their expensive welfare system by having public debts that are at least 80 percent of their GDP and running budget deficit every year. More foreign aid, including climate aid, will definitely be affected too. Will Bono and Bob Geldoff launch another round of rock concerts to push for "more foreign aid"? Today will be the 1st year anniversary of the heinous "Maguindanao massacre" where 57 people were killed in close range, in broad daylight, by the Ampatuan clan of Maguindanao province. The victims were the family members of a rival but smaller political clan of the Ampatuans, the Mangudadatu, their friends, members of media who accompanied the group, and some hapless civilians who just happened to pass by. 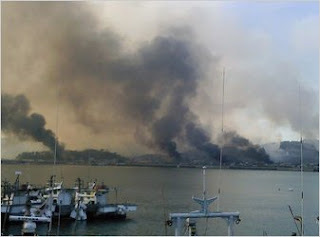 That news was so gruesome, so sick, it was picked up by the international media. 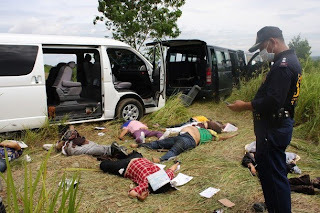 A number of my friends from the US, like good friends from Atlas then like Jo Kwong, immediately wrote to me to ask if I was alright as some international media reports did not specify that the massacre occured several hundred kilometers south of Metro Manila. Thanks for the note. 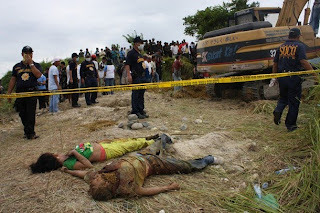 The massacre happened in Maguindanao province, in the southern island of Mindanao. It's far from Manila, so we are ok. It's pure rule of men, zero rule of law. 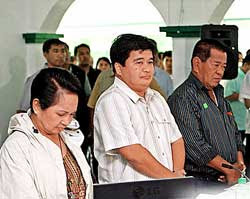 The perpetrators, the Ampatuan family, are an "untouchable" political clan in the province. The governor ran unopposed, his 1 or 2 sons are mayors of other municipalities in the province. The President has big political debts to that clan because the latter cheated super big time in the last 2007 elections and delivered all the votes for the administration. For instance, that province delivered 12-0, meaning all 12 Senatorial candidates of the administration won, whereas in the overall result, only about 4 administration senatorial candidates ultimately won. So 4 days after the massacre, 57 bodies so far recovered, there should be more, 18 were media people. Some victims were tortured. For instance, the wife of the politician intending to run for governor and challenge the Ampatuan clan, was severely tortured. Pardon the graphics but this is how barbaric those thugs are: They slashed her organ several times, slashed her breasts, gouged her eyes, shot her mouth and head, chopped the feet, etc. The sister and niece of the potential candidate suffered tortures as well, before they were killed. A group of innocent motorists who were unlucky to be following the 5-cars convoy of the victims by just a few minutes, were also killed. One car contained all employees of a municipal hall in the nearby town. So far, not a single arrest was made! Not a single arrest warrant was issued! Despite the fact that there should be several dozen armed men who commited the massacre, including local policemen and local militias. Despite the fact that a provincial backhoe was used and left on the graveyard. 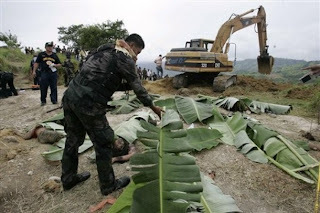 The 57 bodies plus at least 3 vehicles were buried deep in an isolated place using a backhoe owned by the province, with the name of the provincial governor, Mr. Ampatuan, boldly painted in it. When the army came looking for the missing convoy, the operators of the backhoe and the armed men fled. Almost everyone here in the Philippines is angry, especially the media. The Federation of Intl Journalists has declared yesterday that in terms of threat to media and casualty of media people, Philippines is now 1st, Iraq is 2nd. 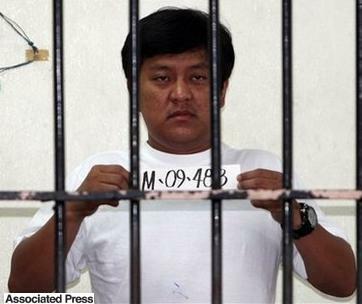 A few weeks after the massacre, Mr. Andal Ampatuan, the main suspect as the one who ordered the massacre, the son of the Governor then, and purported to run for Governor to replace his father whose 3rd term was going to expire, was arrested. Several other Ampatuans were arrested in the succeeding weeks. But still, the rule of law still has to be promulgated in this case. Slow procedures in the justice system, the perpetrators have not been convicted with finality. The rule of men -- men who are above the law, people who are exempted from the elementary laws against killing, against massacre, and there are people in government who made such exception -- still prevails. The sooner that this case is closed, that the perpetrators are convicted and given the maximum penalty, like being sent to the electric chair and electrocuted to death publicly, the clearer the signal that the current administration is serious in promulgating the rule of law. This joke after Manny Pacquiao's victory over Margarito was shared to us by a fellow UP alumni, LAR. It is said to have been a "viral" posting in facebook. 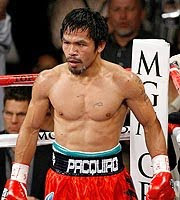 Manny "Pacman" Pacquiao will build a university in his province. He will name it Pacman University, also known as Pac U. The students will soon be known as Pacquers and the school administrator will be Mommy Dionesia, Mother Pacquer for short. Jinky: Manny, for our next child, what would be a good name? 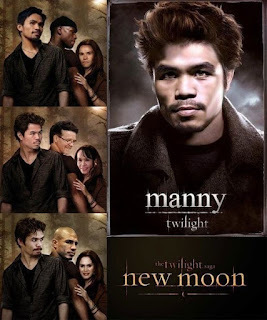 Manny: Let's combine our name: MANKY! hehehe. Manny, can you also include my name to your new child's name? Manny: Sure Mama. Have a name? 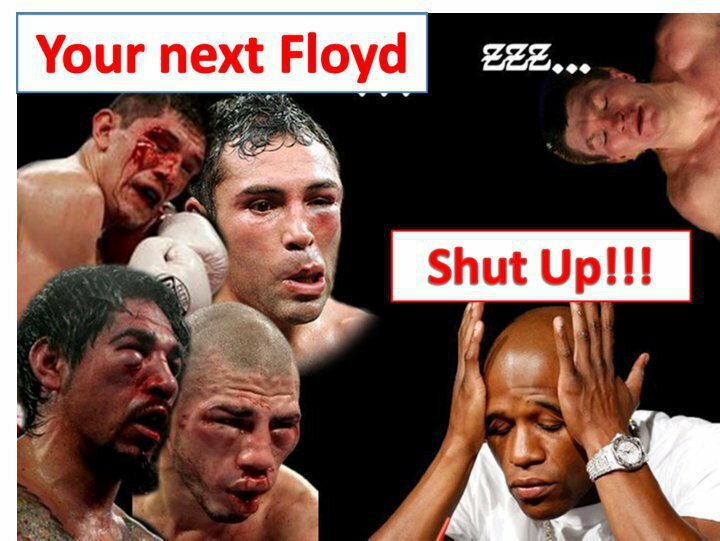 Mexicans' disappointment: The Mexicans have ran out of top boxer bets to topple Pacquiao from the ring. They've sent all their best boxers to knock down Pacquiao, but they all lost. So Mexicans will send their last bet -- Zorro. If government bureaucrats and politicians can also have good sense of humor, at least they can pacify disappointed taxpayers.